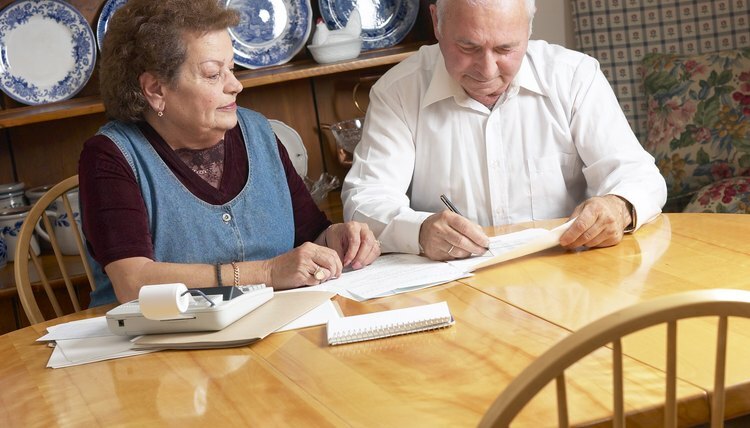 A living trust is an agreement about your property that allows you to keep control of your assets while you're still alive and set out what happens when you die. At some point you might need to change the trust's terms. An amendment allows you to change sections of the original trust. You shouldn't alter the trust documents directly, as that might invite a legal challenge later on but you can prepare a separate amendment that details the changes. Locate the original living trust documents. Find the provisions you want to change. Draft a trust amendment form. Visit a legal publishing store or office supply form to obtain a blank amendment form if you're uncomfortable about doing a form from scratch. You need the name of the trust, the trust grantors and the trustees as shown on the original documents, and the original date of the trust on the amendment. Specify which article of the trust allows for amendments. Specify which article is being changed and detail the changes. For example, if Article Four stated that the alternate trustee is Jane Smith and you want John Smith as successor trustee, you could state, "Article Four is hereby amended as follows: Jane Smith is being replaced as successor trustee by John Smith." Bring the trust grantors and trustees named in the trust document in front of a notary public. Have all parties sign and date the amendment and specify who they are — for example, "John Doe, Trustee" — in front of the notary. Ask the notary to notarize the signatures. Attach the original amendment to the original trust papers. Keep the papers in a secure place. If the original trust was filed in your county records department, be sure and file the amendment as well.